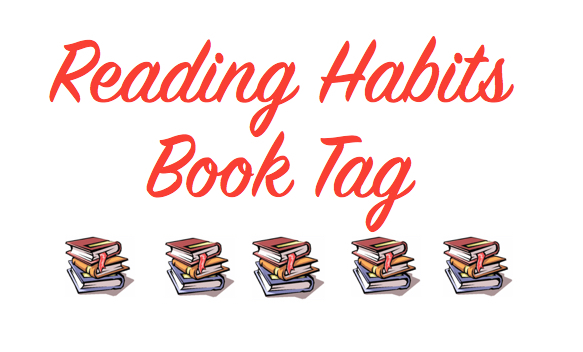 I recently spotted this Reading Habits Book Tag on BookBoodle‘s blog and immediately felt compelled to ask if I could join in! Not as such, I just read wherever I happen to be at the time. 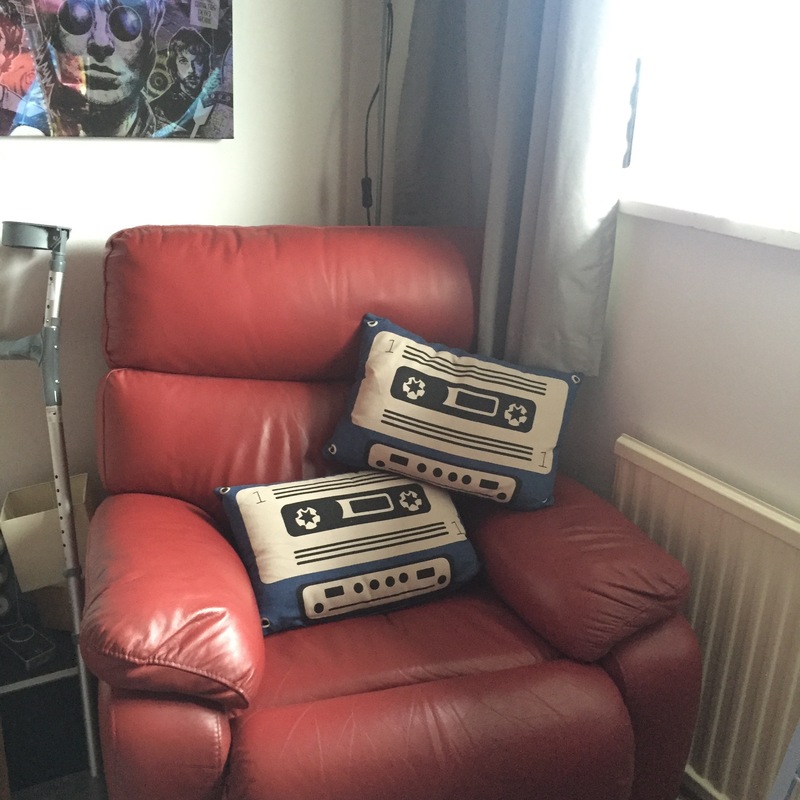 Having said that, we have also just re-organised the spare room so as you can see in the photo I have a very comfy recliner chair with a tall reading lamp behind and a window to the side, so it’s the perfect place to read. But I mostly read on my Kindle Voyage now (which is front lit) so I don’t necessarily need to be by a lamp anymore. I do like reading in bed before I go to sleep, I’ve done that ever since I was a small child and I can’t see that ever changing. The Kindle Voyage is perfect for reading in bed. Random bits of paper! I love bookmarks and I have some gorgeous ones but usually they’re never to hand when I need a bookmark so I just grab any scrap of paper to hand! Often when I’ve finished reading a book I forget to remove the paper that I’ve used as a bookmark so whenever I have a clear out of books I always have to make sure there’s no scraps of paper left in. This can often be a wonderful trip down memory lane though as I discover old postcards, even a letter occasionally, that I’ve used as a bookmark. I stop wherever I am at the time, I never feel that I need to read to a certain point before stopping. Although if a book is particularly gripping I will do the whole “I’ll just read one more chapter…” thing and before I know it it’s 4am! Hands-free reading on my Kindle! I do if I’m reading on my kindle as it’s easy to prop that up while I’m eating, it’s not so easy with a print book. After my spinal surgery a few months ago I found a device that attached to my kindle and made it hands-free, this was brilliant as it meant I could still read while lying down without causing harm to my neck. I still use that sometimes but usually I just keep my Kindle in its case which allows me to prop it up. It really depends on my mood. Sometimes I have to read with complete silence around me otherwise I get distracted but at other times I can actually watch TV and read at the same time while managing to follow both plots. I don’t tend to put music on while I read but if my husband is in the same room and wants music on it doesn’t affect my reading at all. I usually have four or five books on the go at once. I used to just read one at a time but then when I went to Uni a few years ago to do an English Lit degree I often had to read four novels a week, plus wider reading, so I quickly had to learn to hold multiple stories in my head at once. Since then I’ve always preferred to have lots of books on the go. I try to keep them to different genres so that I don’t get storylines confused. I think I read more books over the course of a year since I stopped reading one at once; I’m sure it’s because if one book isn’t quite holding my attention because I’m not in the right mindset then I can just pick up a different one that I’m already in to and carry on where I left off. I read anywhere and everywhere. I’m that person you see reading in the long queue at the Post Office! I hate to waste time when I could be reading. I think one of the things that helped convert me to Kindle was the fact that with the app on my phone it meant I always have a book with me and because it syncs with my Kindle my book is always in the right place. Before I got a Kindle I’d so often forget to pick my book up and then would get to, for example, a doctor’s appointment only for the doctor to run half an hour late and I’d be kicking myself for the time wasted when I could have been reading! I also read during the ad breaks while we’re watching live TV. Having said all of this, there is nothing quite like curling up with a book at home and knowing you have the whole afternoon ahead of you to just read. I read silently in my head. I never read ahead, why would I want to risk spoilers?! The only time I’ve ever written in books is when I’ve bought a book for studying, I’d never write in any other book. If I want to note a favourite passage I use post-it notes or take a photo on my phone. This entry was posted in Book Tag, Books, ebooks and tagged Book Tag, Books, ebooks. Bookmark the permalink. Like this Hayley – will do it on mine during the week and link to your answers. That chair looks comfy!